Do you get high? Would you rather be stoned at home watching Teletubbies than out doing things with friends? Is chillin‘ an art form that you’ve mastered and taken to epic levels? Do you ever get the feeling that life is passing you by while you tear through potato chip bags because you have the munchies? Then, hello, you’re a Stoner. 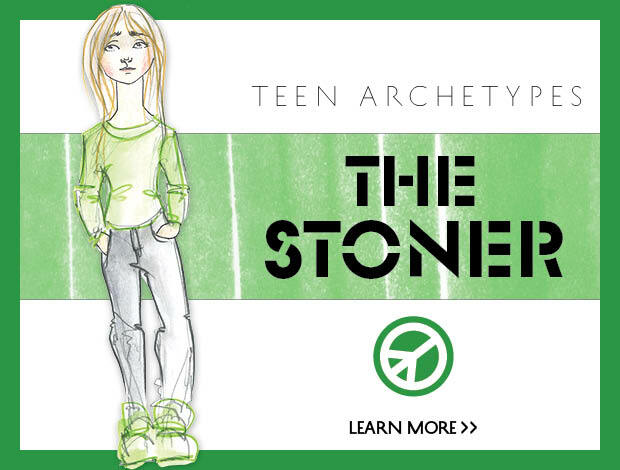 Stoners, though often associated with the Hippie archetype, cross many archetypal roles with a strong connection to the Rebel family. They are usually excessively lazy and troublemaking, with a chill attitude. Many of their attributes are the direct result of cannabis use. Getting high is a fulltime occupation for the Stoner, which presents a problem because drugs are expensive but people who do drugs generally can’t get jobs. Hollywood likes to glamorize Stoners by making them the center of movies about carefree times and weird adventures. From Cheech and Chong to Harold and Kuma,r the formula of two stoners trying to get somewhere is time-tested box office hit, but Stoner’s beware: Life isn’t the movies. The Stoners in real life don’t find their car or get to White Castle because they are still on their parent’s couch and will spend decades there if they don’t get it together. On the surface, it seems like all it takes is a bag of pot to make the Stoner happy, and therein lies the problem. The drive to create, explore, adventure, build and love: it all vaporizes in a stinky cloud. What the Stoner mistakes for happiness is really numbness. True happiness isn’t a vegged-out feeling. True happiness comes from the satisfaction of learning, making, or doing something. 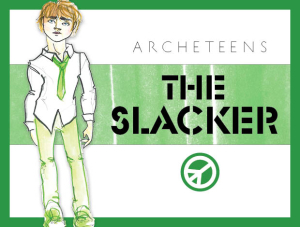 The Stoner likes to hang out with the Lawbreaker, Hippie, Rebel, Co-Dependent, Artist, Muscian, Rock Star, Dreamer, Brat, Free Spirit, Dreamer, and Rebel. Stoners tend to be rather selfish and are not terribly good at expressing themselves coherently. Since love thrives on mutual caring and communication, Stoners pretty much stink at romance. Also they just stink – like stale, dead, moldy skunk. Not very kissable. That will be a major turn-off for people who are not Stoners themselves. Getting someone to enable their drug habit is a challenge for Stoners. And since marijuana use is largely illegal, the Stoner tends to get involved with shady characters and be connected to the more sinister, violent, and uglier parts of the world. Buying pot feeds money into a horrific international underground that involves drug lords, murders, slaves and the ruin of an untold number of families, children, and lives. For reals. It’s serious stuff. If you have Stoner tendencies, start getting involved in activities that are way more fun than smoking pot. Hang around people who live clean and upbeat lifestyles. Set some goals. Reach out to family and friends for help. Get group support for your addiction. Turn your life around now. You have no idea yet what you can do and who you can be. You’re worth it. Share and Save to your "me board"